Ingredients: organic pure cane alcohol, organic aloe vera juice, lavender essential oil, vanilla oil, aspen bark extract, ascorbic acid, citric acid. TOP SELLER! Seriously, I put this “all-in-one” spray to the test everywhere in my house. From my yoga mat, my laundry, to my baby nursery (not your face though! Body yes, face no. I did this a few times, it was fine but then I read the fine print… Don’t use near eyes or face)! 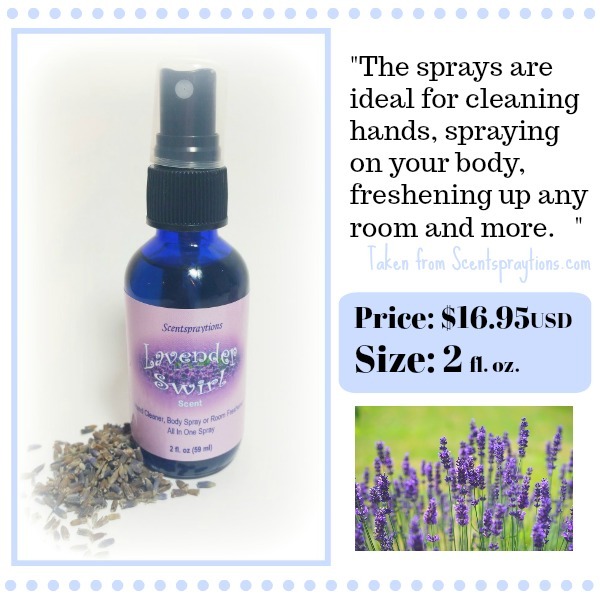 Truly, one of the most versatile, lavender based aromatherapy products that’s come into my home. Lavender in the air is relaxing, detoxifying, and purifying. It only takes a few sprays to make an average-size room smell lovely. Neither is it too overbearing. As if you got punched in the face with lavender. It’s light, clean, and fresh. Yes, this is a natural product. Sadly, it fades with time (approx. 1 hour)– so keep on spraying all day long. Great for at night (on a pillow) – lavender promotes sleep. Little side note… Find a “BLOG” section on Scentspraytions.com that gives other uses for this easy to use spray. Yum, the smell is like a romantic, rustic rose. As far as ingredients, it’s loaded with expensive, high quality oils (sea buckthorn, meadowfoam…). Truly, liquid face gold! Skip the lotion – use “Glow Gorgeous” day and night to give any aging skin a major makeover. Great on all skin types too. Why it works like a charm…? Helichrysum and rose oils’ main mission is to banish wrinkles (bye, bye bags!) Use only a few squirts for your entire face. Within minutes this golden serum will be working away. No greasy residue either. Your skin will eat it up. Considering I’m a sucker for jewelry and aromatherapy, combining the two is a winning concept on me. Expect higher than usual quality “plastic” store bought jewelry. 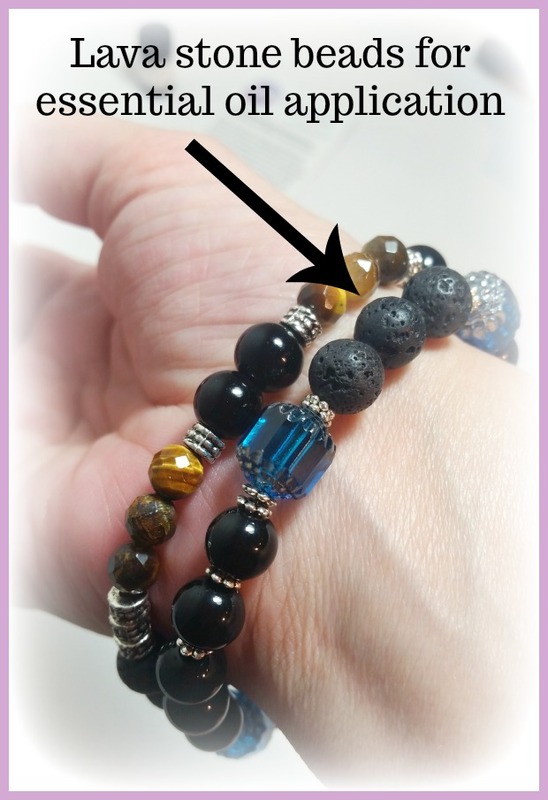 Beaded using several natural lava stones (semi-precious beads and diffuser jewelry pieces…) The beads carry weight, which speaks to the quality of the product. 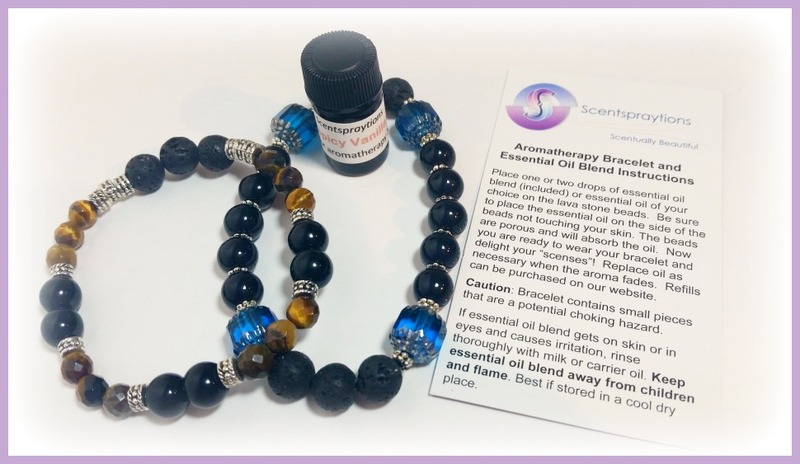 HOW TO USE: Drop a few essential oil drops on the lava beads. Voila, you have a new genius way to sneak in oil therapy all day – and with style. Scentspraytions sent me their SPICY VANILLA essential oil blend. Fresh, light, and a little punchy, I’m a big fan of any spiced-up vanilla like this. All bracelets are handcrafted, by a family (with love) in the U.S. – gotta love supporting the little guy! 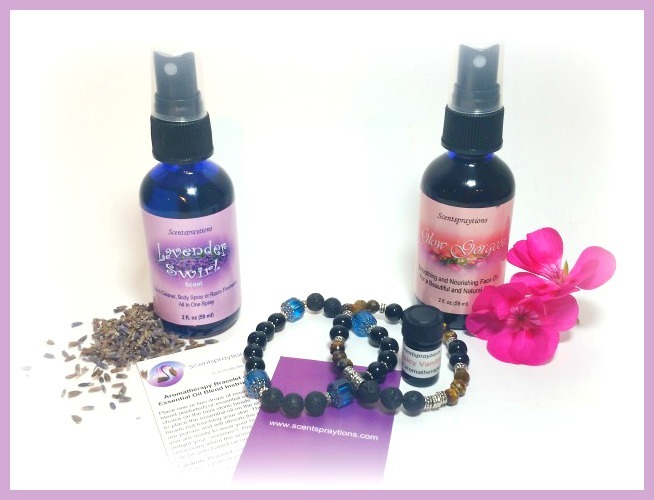 Making aromatherapy pretty is Scentspraytions major sticking point. First, the concept behind their “All-In-One” sprays are a perfect intro, to what one little bottle of love can do for your home, skin, and health. 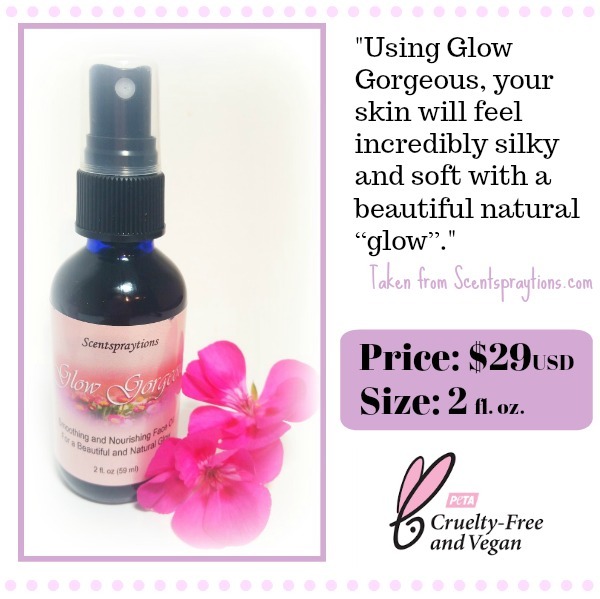 Second, the flirty “Glow Gorgeous” was just that – gorgeous. From the smell, the quality, to the fast results. I’d buy that bottle again any day. Finally, aromatherapy on the road can be a real pain saver. Using jewelry (i.e. : bracelet) to sneak it in, is easy and fast. Even when rolling through “perfume-free zones”… You’re a safe bet. 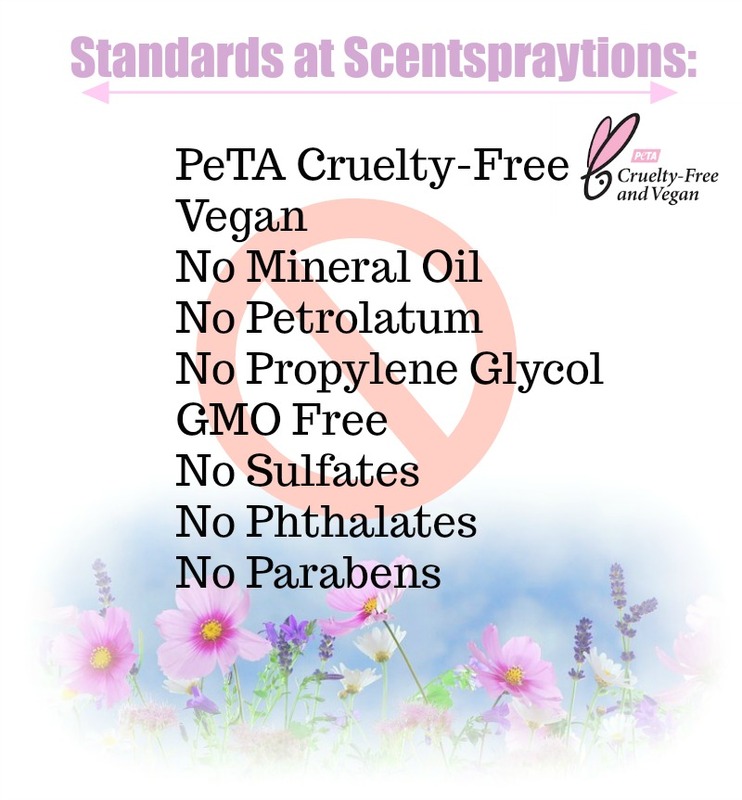 Since you’re not using a toxic, chemical filled, perfume. 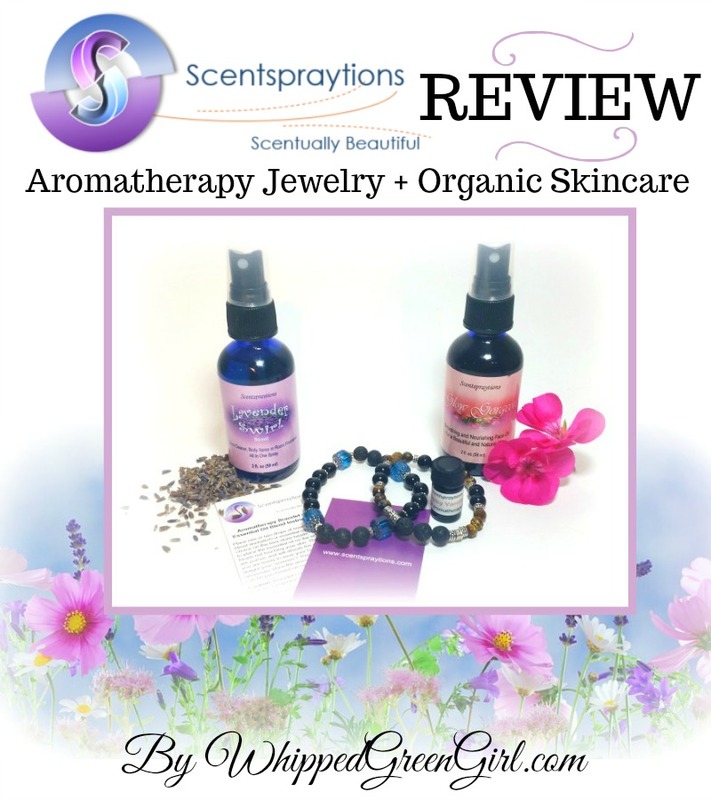 Thanks for perusing my Scentspraytions Review. 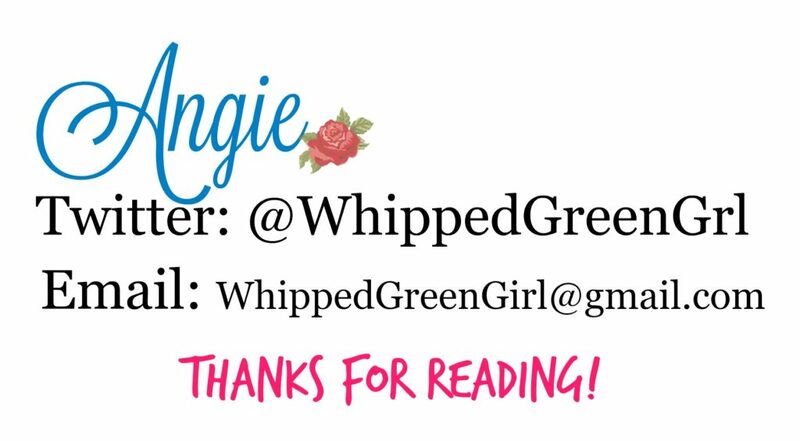 Check-out their jewelry, skin fixes and blog posts for more deets!